There will be the option to visit several of Tokyo's most interesting art museums, including the complex at Ueno Park and Kurokawa's National Arts Centre. An overnight visit to Hakone, a picturesque area in the mountains, will offer a new experience. 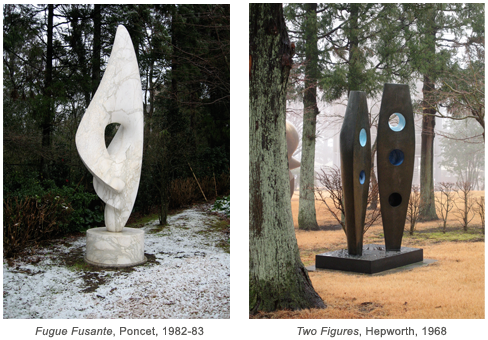 First we will visit the famed Open Air Museum, home to a large collection of 19th and 20th century sculptures by celebrated Western and Japanese artists, landscaped across acres of hillside grounds. A stone's throw from here is the Pola Museum of Art, a magnificent example of contemporary architecture that blends beautifully into the surrounding forest, displaying its collection of Impressionist paintings, oriental ceramics, glasswork and cosmetic utensils in superbly designed galleries. 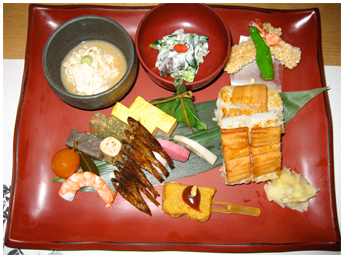 Before leaving this area we will spend a relaxing evening in a traditional Japanese inn, enjoying the delights of hot spring bathing and Japanese haute cuisine. We will enjoy a rich and unique cultural experience during our visit to Naoshima, a small group of islands in the Inland Sea, host to several architectural gems and some stunning modern art. 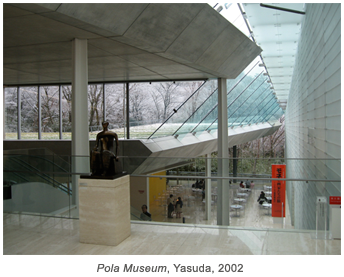 Benesse House, Chichu Museum and the Lee Ufan Museum were all designed by Tadao Ando, while Teshima Art Museum is the work of Ryue Nishizawa. The refurbished copper refinery, Inujima Art Project Seirensho, designed by Hiroshi Sambuichi, is yet another inspirational addition to this cultural treasure-trove. Benesse House is home to a collection of modern American art, by artists such as Andy Warhol, David Hockney and Bruce Nauman. Chichu Museum (literally 'in-ground' museum) was specifically built to feature a small collection of Monet water lilies, some fascinating work by the American light artist, James Turrell, and sculpture by Walter de Maria. 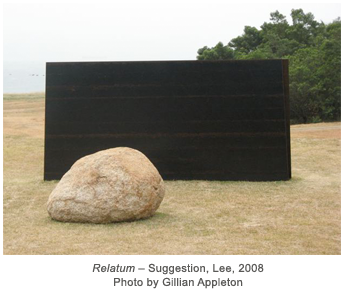 The Lee Ufan Museum exhibits the work of the Korean-born artist who played a central role in the contemporary art movement known as Mono-ha (School of Things). Ando's characteristic attention to detail is a feature of all three structures that leaves a memorable impression. The unusual Teshima Art Museum was designed specifically to house a single work by Rei Naito, while the Inujima Seirensho is an ambitious project that embraces the concept of a recycling-based society. From Naoshima we will travel by bullet train to Hiroshima to view Tange Kenzo's Peace Park and museums, as well as the UNESCO heritage-listed island of Miyajima. Before returning to Tokyo we will spend two nights in Osaka, from where we will visit several more icons. I.M. 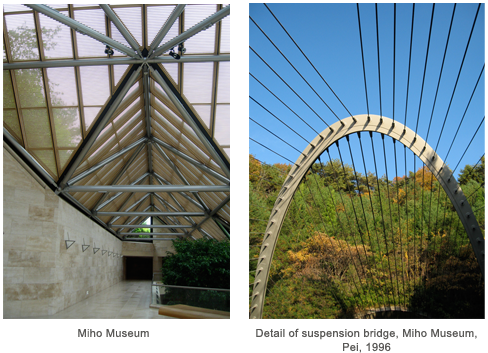 Pei's famed Miho Museum, magnificently sited in a valley in the mountains of Shiga prefecture, is sure to impress. Cesar Pelli's 'waving reeds' entrance to the underground National Museum of Modern Art, Osaka should also be of great interest.